This extension enables you to setup survey questions for visitors of your store. There are many criteria for selection of survey audience. Downlod user guide from here. 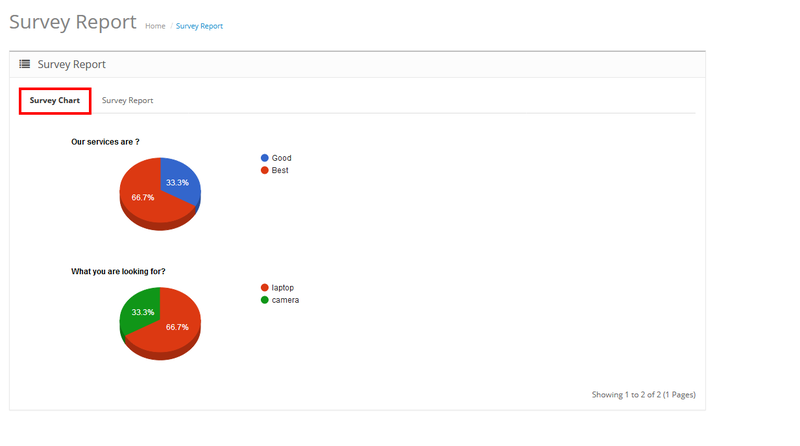 The reports also available for different survey questions, in form of pie charts and tables. Download user guide from here. click here for frontend demo. Please send your queries or issues to our helpdesk here.